I love holidays, especially when it comes to doing things with and FOR kids! I think it’s so wonderful how a simple holiday treat bag can light up their day. 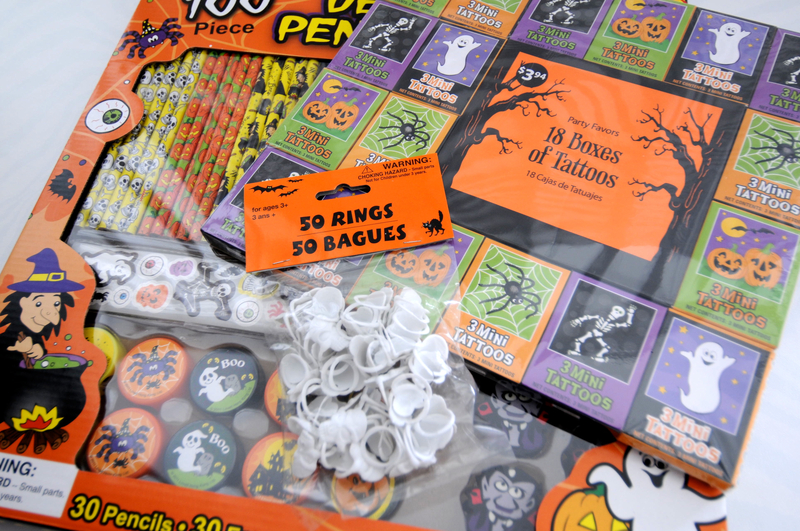 When I volunteered at my local elementary school for my former teacher, the kids always looked forward to my treat bags. And now that my youngest brother has parties in his school’s class, I am probably the most excited because it means I can make treat bags. 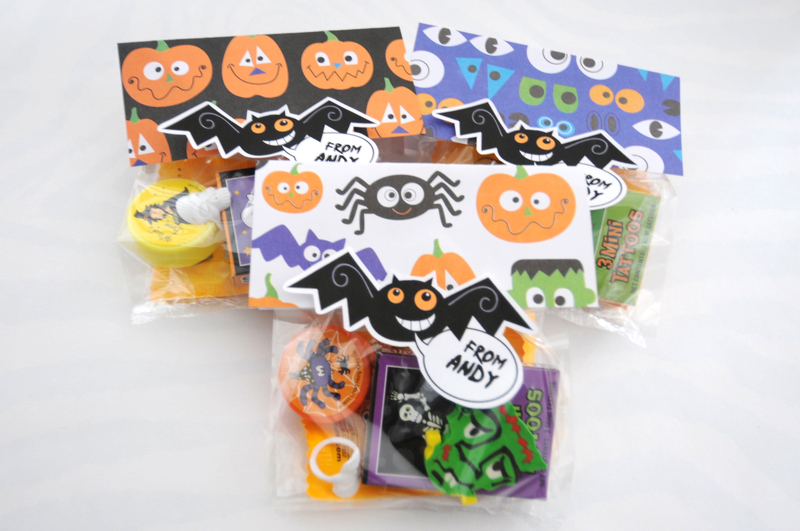 This year, he will be having a Fall Festival in class, so we started working on treat bags together for his class! Here are our final treat bags for his classmates this year. 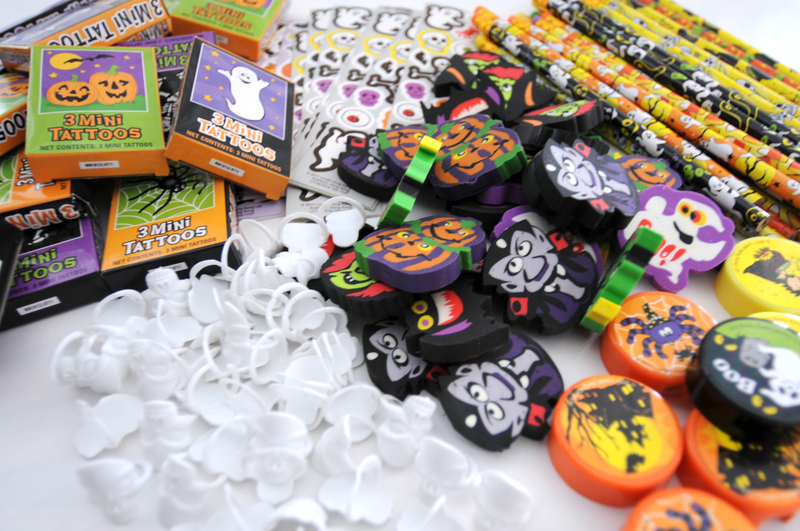 I found all of the Halloween candies and favors at CVS and Target. Normally, I would just tie the bags with ribbon and put a tag on them, but this year, I wanted to be a bit more creative and make bag toppers. 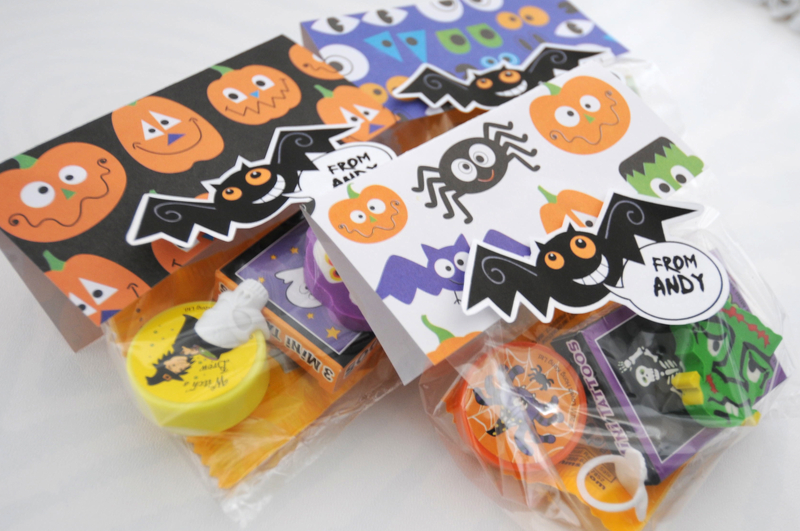 I used Halloween scrapbook and cut them to 5″x5″ squares. After stuffing the clear treat bags with goodies, I folded the bag to close. 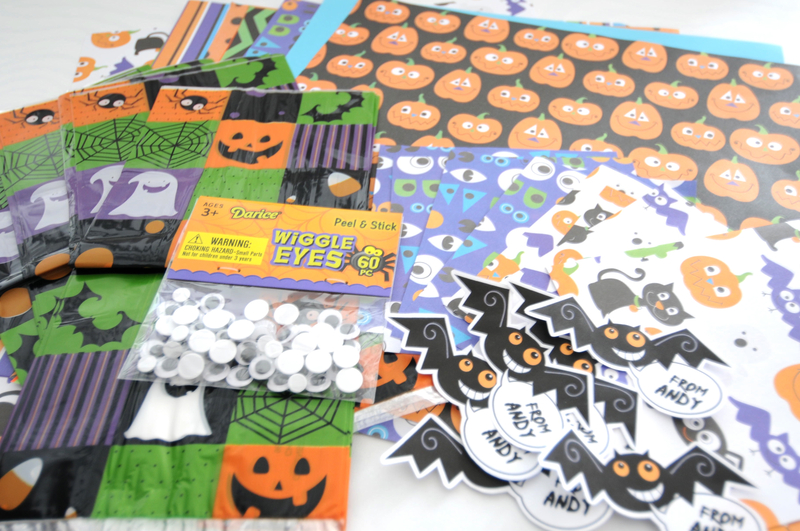 Then I folded the scrapbook paper squares in half and secured with glue dots to the top of the treat bag. 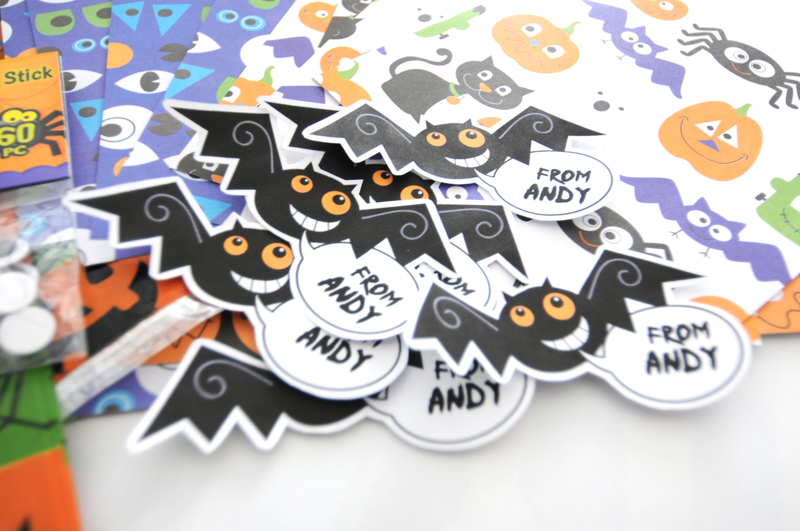 I found these adorable bat labels from The Party Planning Center and added them to personalize the bag. Side Note: I have wiggly eyes shown in the supplies, which I did Put on after. I attached different sized eyes to the bats to give it a cute 3D effect.